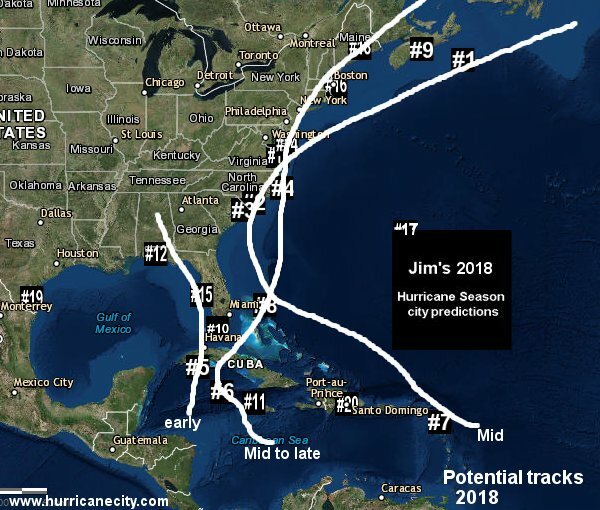 Since 2003 I have been making city predictions before the season starts for what cities and islands I think will be affected during the Atlantic hurricane season which runs from June 1st through November 30th. I use a simple mathematical formula to calculate which locations are at a high threat or moderate threat by using past data going back to the late 1800s. There are several factors involved with making my picks so let me go over a few of them so you have a better understanding of my process. I usually wait until late April to start my calculations so that I have a good understanding of the upcoming environment for the season. 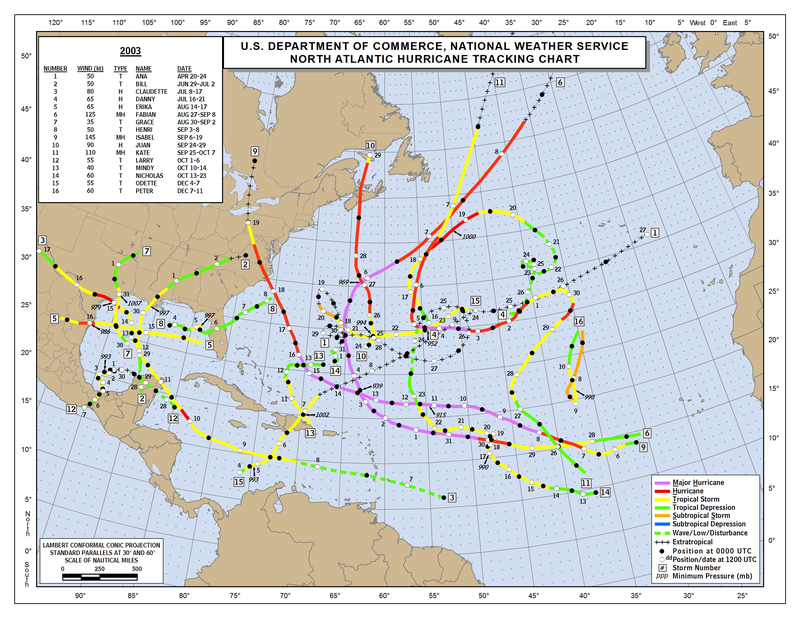 The cities chosen are pulled from the 140 locations in the HurricaneCity database. 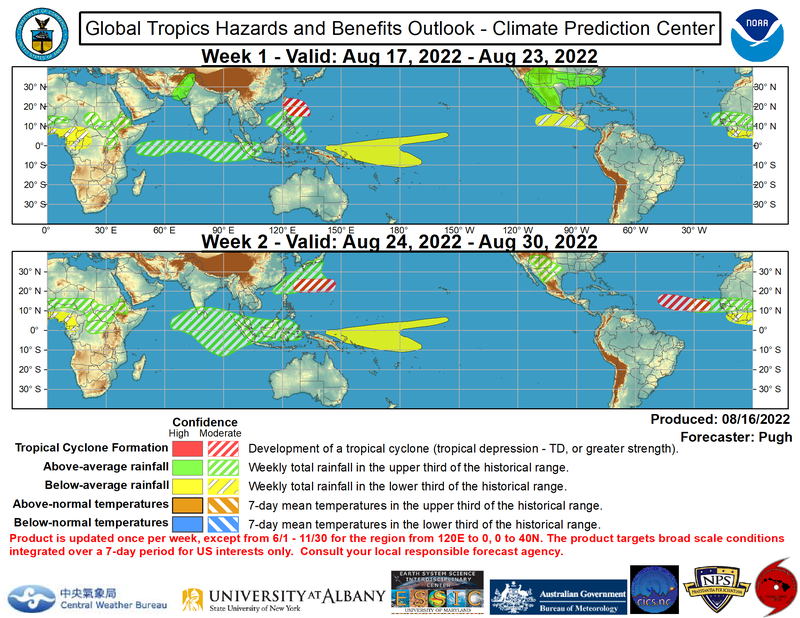 The first important criteria is whether it will be above average, average or below average for Atlantic Basin tropical activity. A busy season can often result in certain areas being at high risk versus others. A slower season has a whole different set of cities that would make my top 20. The second criteria is considering whether a city or island is due or overdue for a named storm which you can see on any database city page. An overdue city would be higher on my list than one that is due and of course one that is not due would only make the list if a particular trend stands out. For those that think return rates do not matter consider that less than 20% of the locations in the city database are overdue in any season. 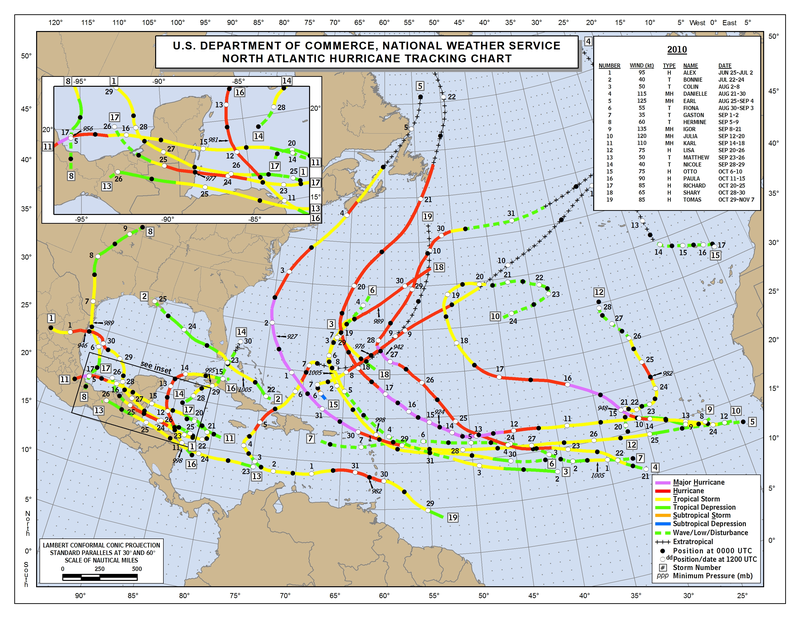 The third criteria is whether a location is due or overdue for a direct hurricane hit, which does not happen very often. The fourth criteria are for trends. 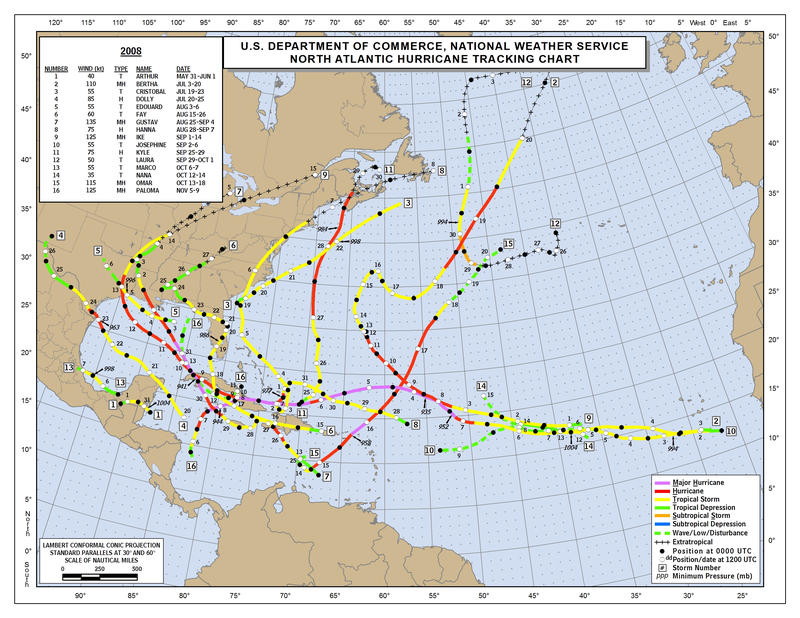 For example, if a city like Miami has a trend of getting hit by a tropical storm followed by a hurricane strike 3 years later and this has happened several times, its high on the list and may be near the top even if it is not due or overdue. The fifth criteria are ENSO analog years how many years each city was hit it years previously similar to what models predict. A recent new category is how many cities were hit based on whether a positive or negative North Atlantic Oscillation is expected. . If your city is not predicted this does not mean you will not be affected. Every year there are always locations that will be hit that I do not pick, but if you are on the list, especially the top 5, it might be a good idea to be prepared. My picks for the 2018 season released on May 15th for a named storm affecting certain areas. 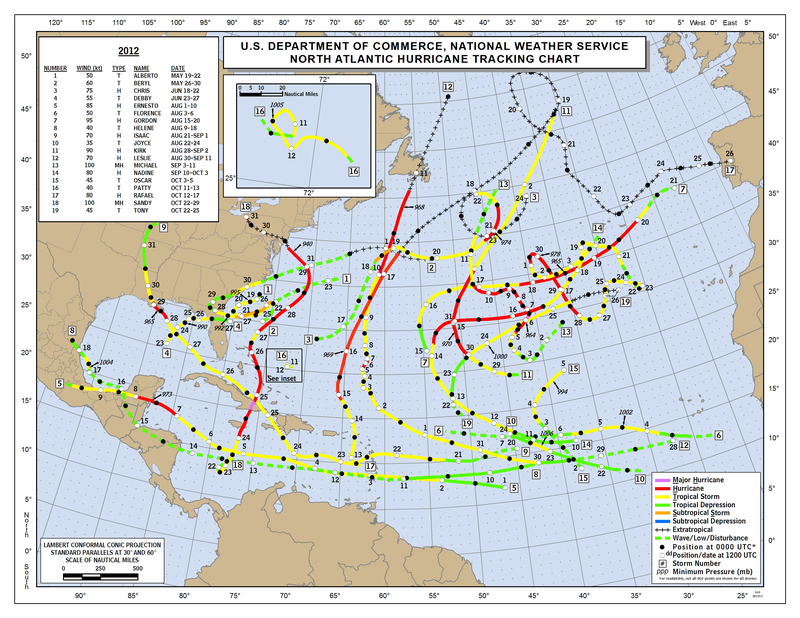 (subjective to wind fields usually within 80 miles) (yellowed locations indicate they have been affected this season). #1) Ft Walton / Pensacola (Ivan), #2) Cape Hatteras (Gaston), #3) Acklins Isl BH (Frances), #4) Cozumel (0), #5) Cabo Corrientes Cuba (Ivan) 2004 archive | 2004 NHC hit map 4 of top 6 impacted 66.67% All 5 of 13 38.47% based on 14 or more named storms ended with 15. #1) Punta Allen MX (Emily), #2) Gulfport MS (Katrina), #3) Pascagoula MS (Katrina), #4) Vero Bch (0), #5) Biloxi MS (Katrina) .... "notice the Mississippi heavy leaning" 2005 archive | NHC hit map 2005 4 of 7 very high threat 57.14% All 13 of 20= 65% based on an active season,ended with 28. 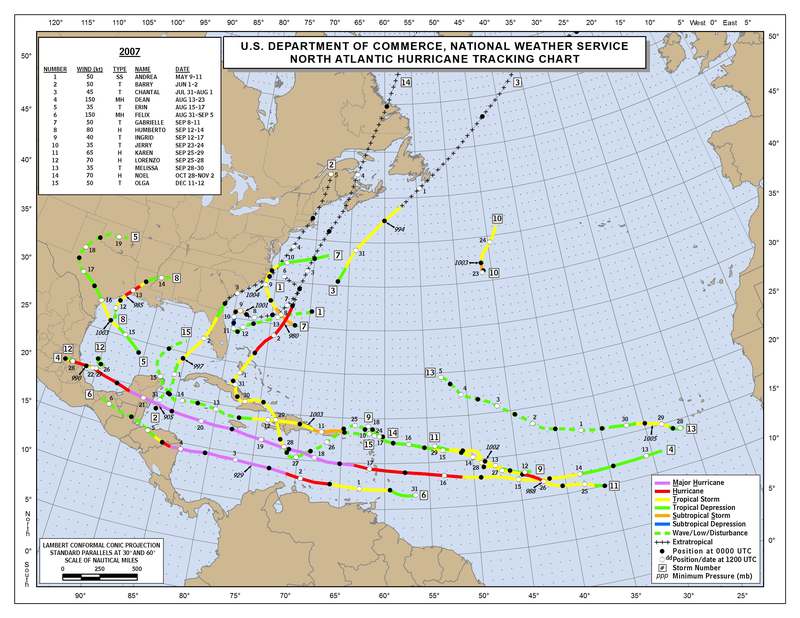 #1) Vero Bch (Ernesto), #2) Pascagoula MS (0), #3) Sable Isl NS (0), #4) Mobile AL (0), #5) Cape Hatteras (0) 2006 archive | NHC 2006 hit map 2 of top 5 impacted 8 of 20 =40%. 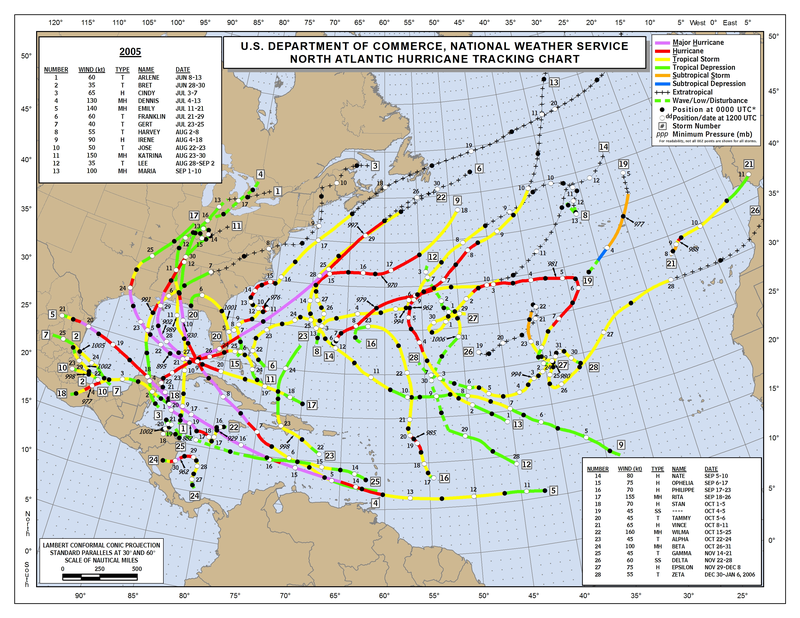 Based on 14 or more named storms ended with 10. 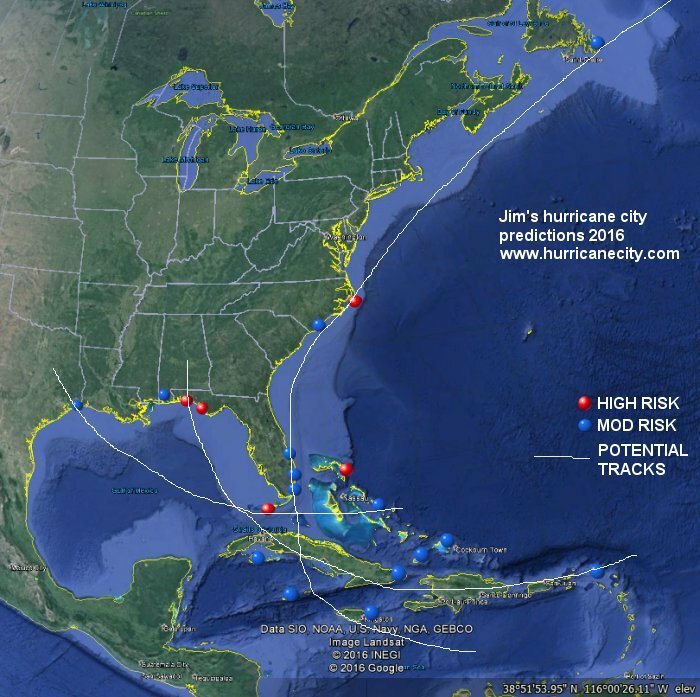 #1) Elizabeth City NC (Gabrielle), #2) Belize (Dean), #3) Bluefields Nicaragua (0), #4) Antigua (0), #5) Martinique (Dean) 2007 archive | NHC hit map 4 of top 7 very high risk 57.14% All 6 of 20 =30% based on 12 to 13 named storms ended with 15. 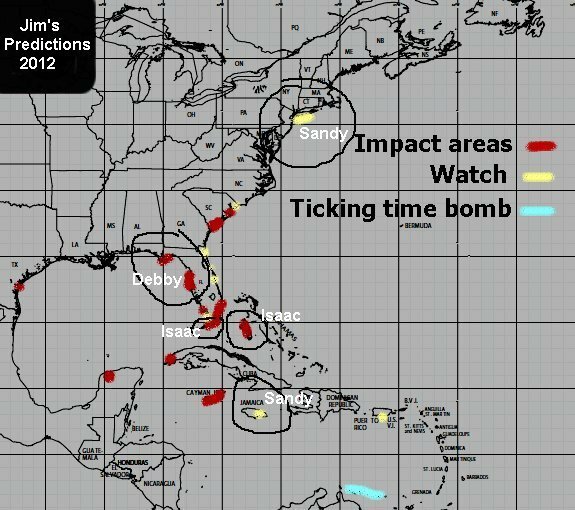 #1) St Martin (Omar), #2) Antigua / Guadeloupe (0), #3) Grand Bahama (0), #4) Destin (0), #5) Vero to Lake Worth (Fay), ticking time bomb = Morgan City LA (Gustav) 2008 archive | NHC 2008 hit map 5 of top 7 very high threat impacted 71.43% All 12 of 20= 60% forecast 14 or more named storms ended with 16. 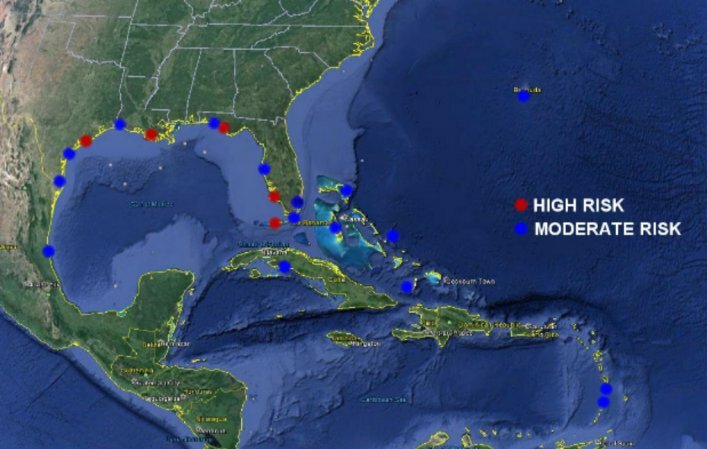 #1) Grand Bahama (0), #2) Cancun MX (0), #3) Bluefields Nicaragua (Ida), #4) Ft Lauderdale (0), #5) Pascagoula, MS (Ida) 2009 archive | NHC 2009 hit map 3 of top 5 very high impacted 60% All 8 of 20 =40% based on 13 to 14 named storms ended with 9. #1) Vero Bch (0), #2) Ft Walton Bch (0), #3) Ft Lauderdale (Bonnie), #4) Pascagoula (0), #5) Boynton Bch (0) 2010 archive | NHC 2010 hit map 1 of top 5 impacted 20% all 6 of 20 impacted 30% based on 13 to 15 named storms ended with 19. 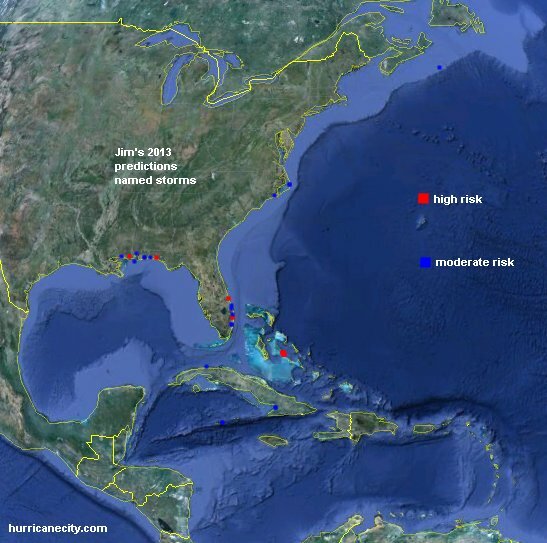 #1) Boca Raton, FL (0), #2) Grand Bahama Isl (Irene), #3) Boynton Bch, FL (0), #4) Great Exuma,Bah (Irene), #5) Belize (Harvey) 2011 archive | NHC 2011 hit map 3 of top 5 very high threat 60% All 6 of 20 =30% based on 11 to 14 named storms ended with 19. 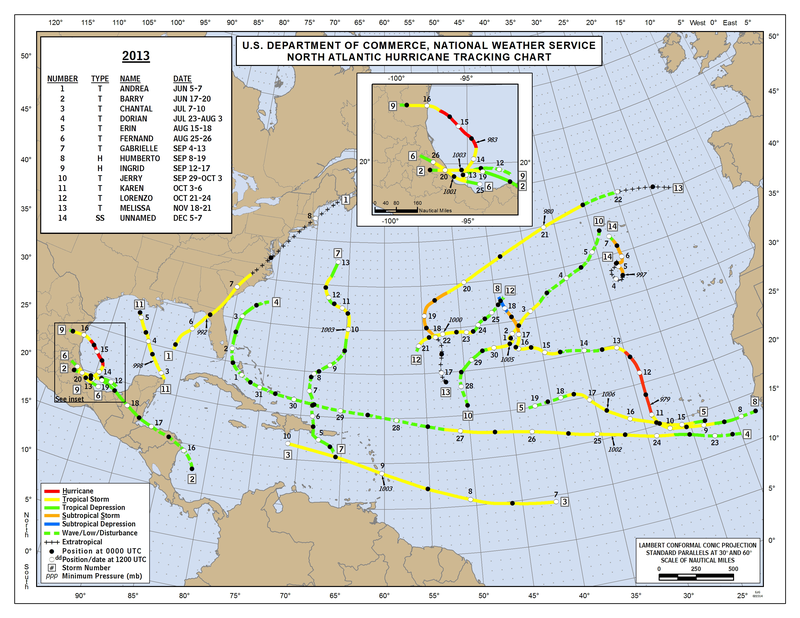 #1) Cabo Corrientes, Cuba (west tip) (0), #2) Beaufort, S.C (0), #3) Key Largo, FL (ts Isaac br), #4) Spring Hill, FL (ts Debby br), #5) Merida, MX (0) 2012 archive | NHC 2012 hit map | Map highlighting threat areas 3 of top 5 very high threat 60% All 9 of 20 =45% based on 11 to 13 named storms ended with 19. 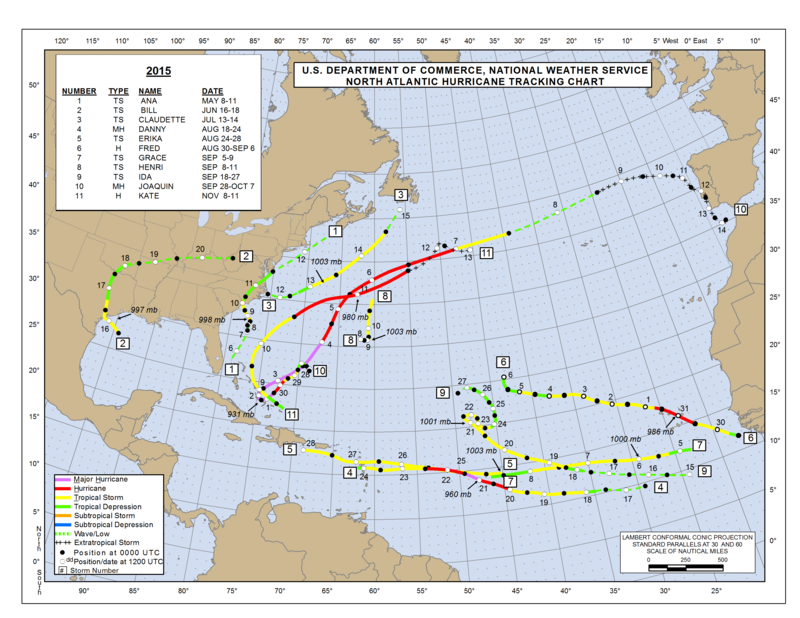 #1) Pascagoula MS (0), #2) Ft Walton FL (0), #3) Vero Beach, FL (0), #4) Great Exuma BAH(0), #5) Boynton beach FL (0) 2013 archive | NHC 2013 hit map | Map highlighting threat areas. 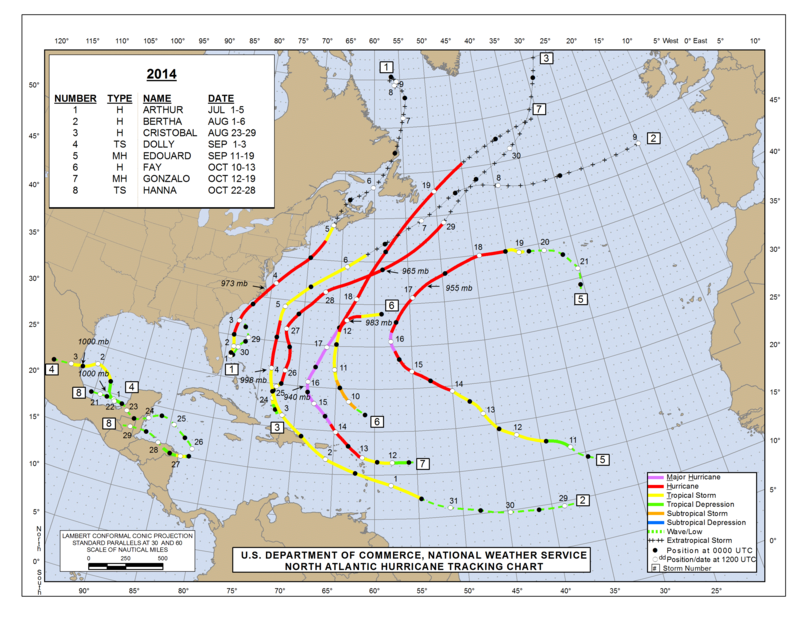 | Video explanation 2013 None of top 20 impacted, ended with 14 named storms, a terrible prediction year. 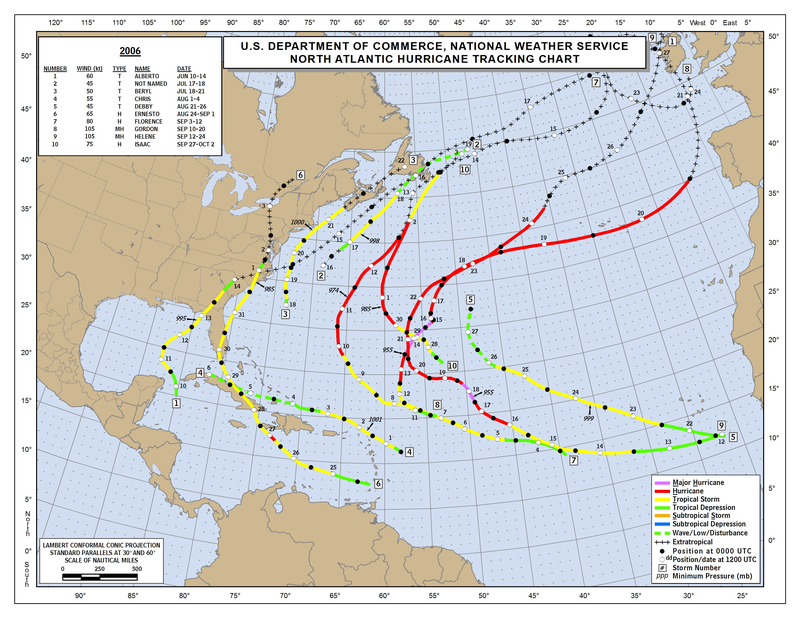 This was my first year using ENSO as a factor based on Dr Gray's number of named storms. #1) Port Charlotte to Naples,FL (0), #2) Panama city,FL (0), #3) Key West, Fla (0), #4) Morgan City,LA(0), #5) Matagorda,TX (TS Bill) 2015 archive | NHC 2015 hit map | Map highlighting threat areas. | Video explanation 2015 Very high threat 1 of 5 20% all 3 of 20= 15% predicted 9 to 11 named storms,season ended with 11. 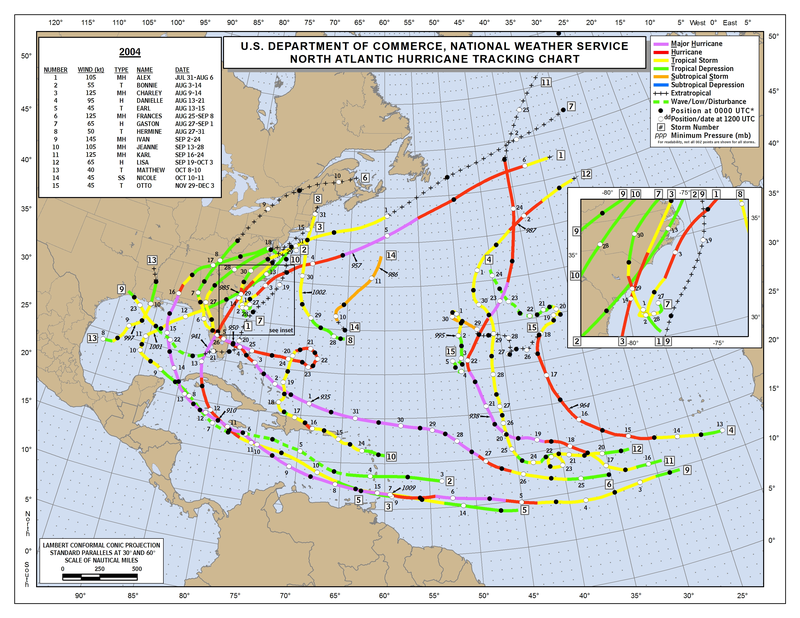 First year using my own Elnino Analog years. 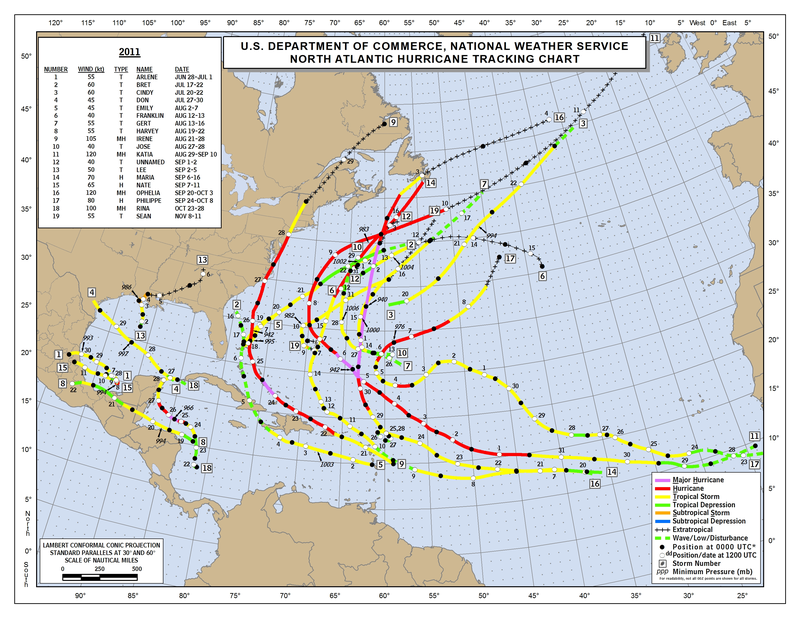 #1) Ft Walton Beach, Florida (0), #2) Panama City, Florida (0), #3) Great Abaco Isl, Bahamas (Hurricane Matthew brush), #4) Key West,Florida (0), #5) Cape Hatteras, North Carolina (TS Hermine, Hurricane Matthew brush) Blog post about predictions | Map of potential tracks | 2016 archive Very high threat 2 of top 5 All 9 of 20=45% predicted 14 to 16 named storms ended with 15. 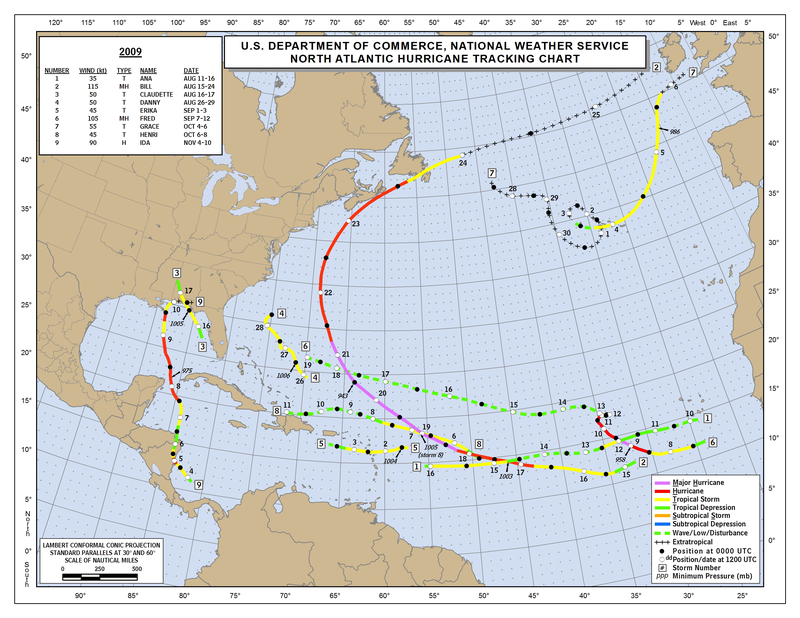 #1)Sable Island,Nova Scotia (0) #2)Gulf Shores,Alabama (Hurricane Nate br) #3) Marathon,Florida (hurricane Irma) #4) Isle Of Youth,Cuba (TS Philippe br) #5)Cayman Islands(0) Blog post about predictions | Map of potential tracks | Very high threat 3 of top 5 All 12 of 20=60% predicted 12 to 14 named storms ended with 17. VERIFICATION since 2003= Av top 5= 42.66% or roughly just over two of top five cities on average. All 20 city picks since 2003 38.54%. Is it warm or cold core system? build your own satellite page. Copyright © 1997-2018 HurricaneCity.com. All rights reserved.